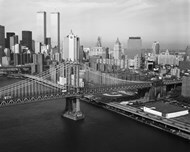 One of the world’s most recognizable and spectacular skylines, the New York City skyline has beautiful architecture. The skyscrapers of New York City are some of the most architecturally diverse in the world. The buildings represent many different time periods, collectively celebrating the different cultural periods the city has gone through. 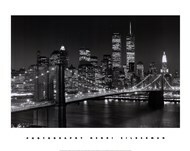 Enhance your walls with great prints and art of the New York City Skyline. Our prints would be great in your home office, living room, or family room. 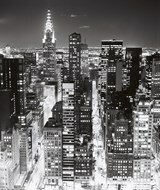 Look through black and white New York Skyline prints, panoramas, skyline photographs, night skylines, and beyond. You can have your print framed or even put on canvas so your artwork will be ready to hang on your walls once you receive it. 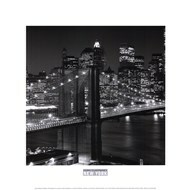 Pick out your New York Skyline art and prints on ChefDecor.com right now!